Polyphia Summons Satanic Swagger in "New Levels New Devils"
The progressive metal band released their third album recently. It’s not every day that you see a math rock album break all the rules of its genre. Polyphia’s new album, New Levels New Devils, redefines what it means to be in a rock group in an age when everyone believes that rock is dead. 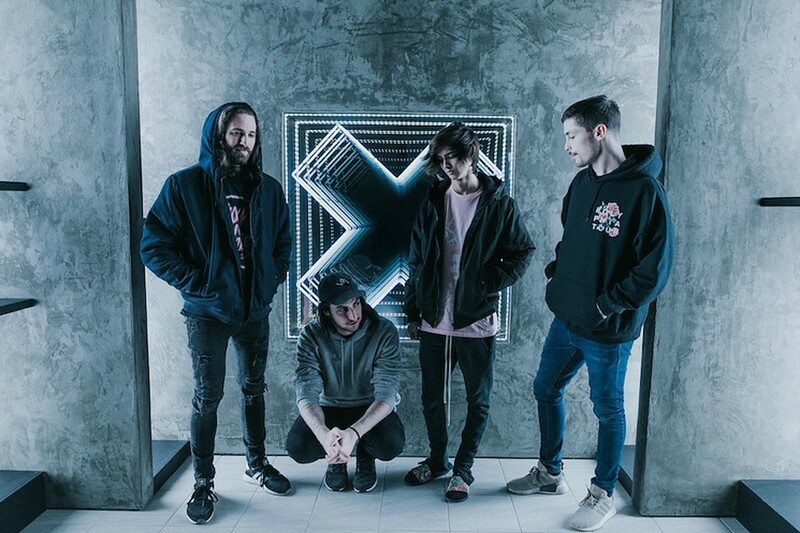 Polyphia, an instrumental progressive metal band from Texas, released their third album on October 12th and has since redrawn the barriers between different styles of music. Combining hip-hop, trap, and even a hint of Latin pop, Polyphia has fused together various musical genres. The intense aesthetic of the album is bolstered by its featured artists—math rock powerhouses such as Ichika, Mateus Asato, and Yvette Young—and its album art containing harsh reds and yellows along with images of tigers. With its loud sound, the album’s production is less clean than the band’s previous work. The stage for a fuller production is set by the first song on the album, “Nasty.” The rhythms are complicated, murky, and feel both sinister and sticky. Jason Richardson, the featured artist on this track, adds an amazing distorted sound with his solo (this is his second time appearing on a Polyphia album; his first was the song “Aviator” for 2015’s Muse). “Nasty” is followed by their second single, “O.D.,” which starts with relentless guitar-playing and increases in intensity just as all the other instruments come in and are matched by trap beats. Then comes “Yas,” which leads the listener in a more melodic direction for the remainder of the album. “Yas” features Mario Camarena and Erick Hansel (another pair of Muse collaborators) from the math rock band Chon, who add a level of sweet melody that makes you forget about the complexity of the rhythms on the track. The breakthroughs of this album continue through “So Strange,” the first Polyphia song to feature a vocalist. Cuco, an artist who is also known for bending genre, features on the track and sings the sweet, groovy chorus. Listening to the lyrics, “I need you to hold my hand whenever you’re here / And I must admit that I think of you like every night / Your eyes and your smile / I can't seem to get it out of my mind,” you forget how strange the collaboration is and find yourself falling in its inexplicably catchy groove. New Levels New Devils closes out with their lead single, “G.O.A.T.,” which provides a sinister ending to the album. It completes the entire mood of the album by ending on a devilish note and a large sound filled with guitar, drum, and bass. Overall, New Levels New Devils demonstrates growth from their 2017 EP, The Most Hated, which featured trap beats and signaled the beginning of their diversion from progressive metal but had no featured artists. Since then, Polyphia has learned how to stay true to themselves while adding on to their sound. They have learned how to fuse a myriad of different styles without letting one of them overwhelm the other. As such, in New Levels New Devils we find an album that transcends the rigid rules of math rock and finds itself marrying together disparate music styles flawlessly.